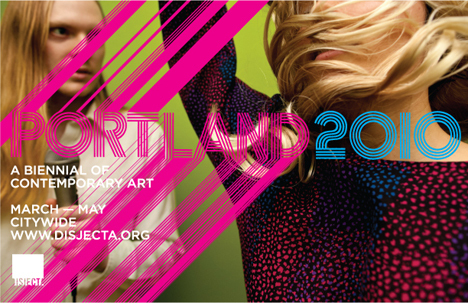 PORTLAND2010 is a biennial exhibition of contemporary artwork significant to Portland’s art landscape. Presented by Disjecta and curated by Cris Moss, local curator and gallery director, Linfield College, Portland2010 exists throughout the city it celebrates: From galleries new and established to raw spaces transformed for exhibition, featuring a selection of artists starting on March 13th and contining until May. Open: Opening hours depend on venues. Place: Events will be held in citywide Portland.